George and Margaret are defending the Southern Border of the United States. But when Margaret starts asking too many logical questions their absurdist plot spirals out of control. Playwright - Juan Carlos Rubio: Born in Montilla, Córdoba, since 1992 combines his work as an actor with his work as a television scriptwriter (Farmacia de Guardia, Pepa y Pepe, Colegio Mayor, Más que amigos, Manos a la obra, Ellas son así, A las once en casa or Adolfo Suárez, El Presidente) as a film scriptwriter (El calentito, Retorno a Hansala, Bon appétit) and as a playwright. As a theatre director, he has directed in Spain his own plays Humo; Arizona; Tres; 100m2; Esta noche no estoy para nadie, el musical; Las heridas del viento; El príncipe de Maquiavelo; Iba en serio; La correspondencia personal de Federico García Lorca and Sensible. He also has directed works of another authors as El pez gordo (The Big Kahuna) by Roger Rueff; Razas (Races) and Muñeca de porcelana (China doll) both by David Mamet; Ocasiones especiales (Special Occasions) by Bernard Slade; La monja alférez by Domingo Miras; Miguel de Molina al desnudo by Ángel Ruiz; El secreto de Puente Viejo and Páncreas by Patxo Telleria. Abroad, he has directed 100m2-El inconveniente in Santiago de Chile (2011) and Special Occasions in Miami (2011). He has directed and written shows for the Young Artists Awards in the Community of Madrid, for Buero Theatre Awards, the Málaga Film Festival 2010 and the Max Theatre Awards 2011. Translator - Laureano Corces: Laureano Corces holds a Master’s and Ph.D. from New York University focusing on Peninsular Spanish Literature. He also earned License and Maitrise degrees from the Sorbonne in ètudes théâtrales.His main areas of research include the Spanish Golden Age and 20th Century Spanish theater. He currently works closely with contemporary Spanish playwrights on translations to English and is thrilled to be a part of bringing Arizona to American audiences. Director - Jacob Janssen: Jacob Janssen is from Kiel, Wisconsin. Before returning to the midwest, Jacob spent several years working in Washington, DC. There Jacob worked as a director and producer at several theatres, most notably at Studio Theatre. Jacob produced 16 plays for Studio, and countless workshops and readings. As a director at Studio, Jacob worked on Carrie: The Musical, starring Barbarra Walsh, 10,000 Greywith the German company Machina Ex, and assisted on the world premiere of Lucas Hnath’s Red Speedo. Other recent directing projects include, the world premiere of Peter Nachtrieb’s The Totalitariansat Woolly Mammoth as Assistant Director, and serving as the Associate Director of Caridad Svich’s Jarman with Force/Collision which premiered in DC before it touring the UK. Before coming to D.C., Jacob was the Artistic Director of The Plimoth Players, the all male Shakespeare company resident at Plimoth Plantation, in Plymouth Mass. For Plimoth he directed Macbeth, A Midsummer Night’s Dream, Romeo & Juliet, The Tempest, and Twelfth Night. Jacob is an alumnus of Shakespeare Theatre’s Fellowship program, and the University of Wisconsin-Stevens Point. He is currently an MFA candidate in directing at the Theatre School at DePaul University where he has directed A Bright New Boise, The Maids, Richard III, Trouble in Mind, Contractions, and Three Sisters. On a mysterious eve, a young woman looks to the stars with an unshakable faith in a love that will descend and transform her, as her injured parents bicker and try to hold her on a planet as damaged by strife as they are themselves. This lyrical and slightly absurd comedy reflects the fragile return to Serbia of hope, faith, and healing following decades of repression and war. Playwright - Dušan Kovačević: Dušan Kovačević is a Serbian playwright and director best known for his theater plays and movie scripts. He also served as the ambassador of Serbia in Lisbon, Portugal. Kovačević was born in Mrđenovac near Šabac, PR Serbia, FPR Yugoslavia, graduated from a grammar school in Novi Sad, and received a Bachelor's degree in dramaturgy from the University of Belgrade in 1973. He then worked as a dramaturge at TV Beograd for five years. 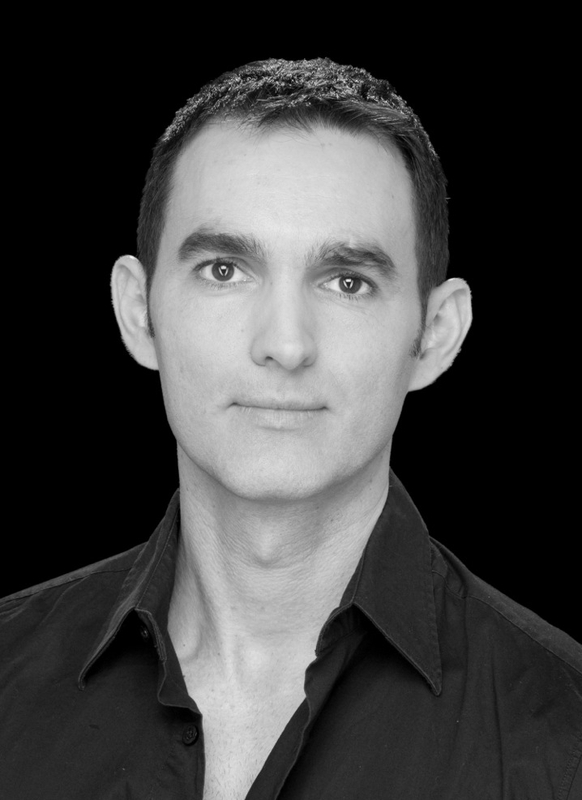 Since 1998, he has been the Artistic Director of Zvezdara teatar. In 2003, he directed his first movie, Profesionalac (The Professional). Kovačević's prolific work is well known and popular in Serbia. One of his plays, Balkan Spy, was being rehearsed in Beijing at the time of Tiananmen Square protests, only to be cancelled by the authorities. He also adapted one of his plays for Kusturica's Underground, which won the Palme D'Or at Cannes in 1995. A declared royalist, Dušan Kovačević is a member of the Crown Council of Aleksandar Karađorđević. He is also a member of the Serbian Academy of Sciences and Arts. in Eastern Europe: Changing Scenes" was published by Scarecrow Press, co-edited by Arthur Skelton from the University of Edinburgh and Barnett. In 2016, he edited "DAH Theatre: A Sourcebook," published by Lexington Press and, for "Selected Serbian Plays," published by New Avenue Books, he translated three plays, edited two, and contributed the Afterword. Director - Elizabeth Carlin-Metz: Liz Carlin-Metz is the Smith V. Brand Distinguished Professor of Theatre at Knox College in Galesburg, Illinois. She holds an MFA from Temple University and is the founding artistic director of Vitalist Theatre in Chicago, IL, where she was cited for Excellence in Directing by Chicago’s After Dark Theatre Awards for her production of Mother Courage and Her Children. Liz directed and played Lyn in the 2016 IVP reading of Multitudes and also in the Rasaka Theatre, Vitalist Theatre, and IVP USA Premiere co-production of the play at Victory Gardens Theatre last October. She serves on the board for and is an associate artist (director) at The International Voices Project in Chicago. She is a contributing author to Embodied Consciousness: Performance Technologies (Palgrave: 2013) with a chapter entitled, “The Neuroscience of Performance.” She has worked regionally around the United States at Steppenwolf Theatre Company, Seattle Repertory Theatre, The Mark Taper Forum, California Shakespeare Theatre, and multiple seasons at Williamstown Theatre Festival. Currently she teaches acting, voice, directing, and dramatic literature at Knox College. Made in Poland, is about a rebellious young man from the outer-city housing projects. In the new post-communist Poland, Bogus, challenges everyone he interacts with. Questioning his mother, his teacher, his priest, and even local gangsters this play explores themes of tolerance, personal identity and being Polish. Playwright - Przemysław Wojcieszek: Film and theater director and screenwriter. Przemyslaw Wojcieszek was born on March 18, 1974 in Miloszyce, Dolnoslaskie, Poland. He is a writer and director, known for Down the Colourful Hill (2004), Made in Poland (2010) and Louder Than Bombs (2001).He is counted among the creators of Polish independent cinema. He graduated from the 4th High School in Wrocław. He studied Polish at the University of Wrocław and the Jagiellonian University in Krakow. He is the author of the screenplay for the film Witold Adamek 's Monday (1998), he also wrote scripts for all his films. As a director, he made his film debut in 1999 with Kill them all. In 2004, he made his debut in the theater as the author and director of the play Made in Poland, talking about the dilemmas of the rebellious boy from the block. By many critics, the performance was recognized as the event of the year, and In 2005, he received the "Polityka" Passport in the "Film" category for his original works as a manifesto of the generation of thirty-year-olds looking for a place in our reality for themselves. "Wojcieszek for his direction was awarded to Konrad's Laurel, the main prize at the National Festival of Directors' Art "Interpretations". Translator - Alissa Valless: Poet and translator Alissa Valles was born in Amsterdam to a Dutch mother and an American father. Raised in the United States and the Netherlands, she was educated at the UCL School of Slavonic and East European Studies in London. Valles has also published poetry under the name Alissa Leigh. Her debut poetry collection is Orphan Fire (2008). Valles is the editor and co-translator of Zbigniew Herbert’s Collected Poems 1956–1998 (2008) as well as Herbert’s The Collected Prose 1948–1998 (2010). She has contributed to Polish Writers on Writing (2007, edited by Adam Zagajewski) and the New European Poets (2008, edited by Wayne Miller and Kevin Prufer). A recipient of the Poetry Magazine Ruth Lilly Poetry Fellowship and the Bess Hokin Prize, Valles has worked for the BBC, the Dutch Institute of War Documentation, the Jewish Historical Institute, and Warsaw’s La Strada International and has served as an editor for the online literary journal Words Without Borders. She lives in Cambridge, Massachusetts. Director - Emily Lotspeich: Emily Lotspeich is thrilled to be returning to The International Voices Project Festival. She was last seen as a reader in Dorota Maslowskas No Matter How Hard We Try. Emily was born in Cincinnati where she was fortunate enough to attend the television noted School for Creative and Performing Arts from grades 4-12. There she majored in acting, directing, creative writing and oboe. She came to call Chicago home when she moved here to further her theater education at Depaul University. Emily is a Company Member and Literary Manager at The Trap Door Theatre. Trap Door Director credit Universal Wolf. Trap Door Assistant Director credits include Beholder and the twentieth anniversary celebratory remount of R. W. Fassbinder’s Blood on the Cat’s Neck.Trap Door acting credits include Locketeer, Phaedra, Fantasy Island For Dummies, The Duchess of Malfi, AmeriKafka, 12 Ophelias and Anger/Fly. Trap Door Stage Manager credits include Ten Tiny Fingers, Nine Tiny Toes, and How To Explain The History Of Communism To Mental Patients which recently toured in Hungary and Romania. Next up, Emily will be back on the Trap Door stage in Monseur D’eon Is A Woman. In addition to Trap Door, Ms. Lotspeich has worked with Prop Thtr, Silent Theatre Company, Polarity Ensemble Theatre and Cornservatory. Gripping play that sheds light on the Syrian tragedy: Near the areas occupied by ISIS in northern Syria, a widow struggles to to keep her three sons together, who represent three conflicting points of view, while an international proxy war spreads sectarianism, extremism and hatred in a country that was once a harmonic grinder of all religious ethnicities, like a Mihbaj which prepares coffee beans for hospitality. Syria is headline news since seven years; yet, the nuances of its tragedy seem an enigma to many. MIHBAJ tries to shed a light on the humanitarian side of this crisis that troubled the conscience of the civilized world and divided most families by animosity and fanatic allegiances, and scattered Syrians as refugees in many European countries. Playwright/Director - Riad Ismet: Riad Ismat is an acclaimed Syrian playwright, director, short story and screenplay writer. He has 18 stage plays to his credit, as well as seven television series and many published books in several Middle Eastern countries. He directed extensively for Damascus National Theatre and Syria’s Academy of Dramatic Arts. Currently, he teaches at Northwestern University, besides working with Columbia College and other universities, after he left his homeland in 2012 to live in a safe haven away from his devastated country by violence. Ida and Leo are expecting their second child when, in a flash, their idyllic marriage collapses. The frenzied search for the guilty party is on. The crisis forces them to think about the purpose of their marriage. Who are they, and why do they even live together? They turn to Couples Therapy to find the reasons why they live together. The quest for answers turns to discussions with earlier generations of the family, both living and dead - Ida’s mother from the era of free love, Ida’s jazz loving father drowned in his own drink, the toothless Aunt Ingeborg, a ‘spinster’ from the fifties. Do they have to separate in order to survive family life? Playwright - Vera Kiiskinen: Vera Kiiskinen (b. 1970 in Helsinki) is a Finnish actress, screenwriter, playwright and director. She graduated from the Helsinki Theatre Academy in 1996 with an MA in Theatre and Drama, and from the University of Salford, UK in 2009 with an MA in Film Screenwriting. Since 1991 Vera has worked as an actor in various theatre projects, films and TV series. She has also directed and written for her own theatre groups, and written for TV and film since 2000. In her writing Vera focuses on female lead characters and names American playwright Beth Henley as one of her main inspirations. Translator - Merja Talvela: Merja Talvela has worked as a script writer, director and producer of plays, film and multi-disciplinary cultural projects that cross boundaries of gender, ethnicity, age and even species. She has a long career translating from Finnish to English and vice versa. She and Leslie Hyde have also translated several multi-language films with texts including dialogue in Russian and Nenets. Translator - Leslie Hyde: Leslie Hyde has worked over several years with Merja Talvela as a translator on films and other genre . He has also acted in plays directed by her and others. He has written comedy including stand up material. Though UK born for the past 40 years he has worked in Finland. He has retired from his post as a Vice Principal in a leading high school for adult education. Director - Breahan Pautsch: Breahan Pautsch is excited to be back working at the International Voices Project. She earned her BA in Theatre and English at University of Wisconsin-Madison, and has been working in Chicago as an actor and director since 2003. She is co-Artistic Director with Akvavit Theatre, which specializes in producing translations of contemporary Nordic plays. As a director, she has worked with many companies in Chicago in addition to her work at Akvavit Theatre, including Wildclaw Theatre, Broken Nose Theatre, Raven Theatre, Hobo Junction Productions, Full Voice Productions, and mudgeonsoul productions. Haven is the story of Elsie, who's just lost her mother, and of Matt, who's searching for his past. They're brought together by the hole that opened up in the asphalt and the contents of the car lying at the bottom. Playwright - Mishka Lavigne: Mishka Lavigne is a playwright and literary translator based in Ottawa/Gatineau. Her plays have been produced, read and developed in Canada, France, Germany and the United States. She has written Cinéma, produced in April 2015 by the Théâtre la Catapulte and Théâtre Belvédère as part of Ontario Scene with the National Arts Centre and Murs recently read at the 2017 Zones Théâtrales biennial. Mishka’s short monologue Vigile was produced by Théâtre Rouge Écarlate in March 2017. With Albumen, her first English-language play, Mishka took part in the 2016 Banff Playwrights’ Workshop and in an NNPN supported development workshop with Orlando Shakespeare Theatre’s under the direction of Cynthia White. Mishka wrote Havre as playwright-in-residence at Théâtre la Catapulte (2015-2016). Havre has been read in May 2016 in Montreal, in September 2016 in Ottawa and at the prestigious Francophonies en Limousin Festival in Limoges, France in September 2016. Havre will premiere in Saskatoon and will also be produced in Geneva. The play is translated in English by Neil Blackadder (Haven) and in German by Frank Weigand. She is currently working on two new projects: Copeaux, a movement-based poetic creation piece with director Éric Perron, now in its second year of development, and Shorelines as playwright-in-residence at Horseshoes & Hand Grenades Theatre in Ottawa. Mishka is a National New Play Network (USA) alumni playwright as well as a member of the Playwrights’ Guild of Canada and the Centre des auteurs dramatiques. Last year, she took part in BILTC at the Banff Centre to work on her translation into French of Rosanna Deerchild’s poetry collection calling down the sky, published in April 2018. Director - Anna C. Bahow: Anna C. Bahow is committed to the development of new work and a diversity of voices. She is an Associate Artist with The International Voices Project and Chicago Dramatists, she served as the 2011-2012 Michael Maggio Directing Fellow at the Goodman Theatre, and she received an After Dark Award (Direction) and two JEFF Awards (New Work; Use of Multi-Media). Her work has appeared on many “best of the year” lists, including her 2013 production of INVASION! at Silk Road Rising. Find out more about her work at AnnaBahow.com. Three days after the 9/11 terrorist attacks on American soil, on the other side of the world in the Silicon Valley of India, Bangalore, a poor Muslim family is stranded. Desperate to reach a relative’s home in a distant suburb, the new immigrants to the city are struggling to find a ride late in the night. Watching them closely from inside a car is an American-Indian Hindu couple, executives of American companies. The westernized and affluent couple offers to take the traditional and rural Muslim couple along. In the car, their conversation quickly takes an unexpected turn. Fueled by a pro and anti-Islamic rhetoric and warnings about potential terror threats playing on the radio, the characters fight with their prejudices and fears even as they attempt to look beyond the obvious differences and worldview to unravel a common fellowship based on humanity. Playwright Anand Rao: New York City based bi-lingual writer, actor and director, a part-time academic and management consultant, Anand's professional career spans a wide range of fields from advertising creative and journalism to corporate communications, organizational development, and higher education. Born and raised in Bangalore, India, he has played prominent roles in over 50 theatre productions in English and his native language Kannada. As a television actor, he was seen in daily soaps on regional Television in Kannada with popular award-winning directors. Kannada TV audience still remembers him as ‘Prabhakar’ of ‘Manvanthara’ a mega TV series that ran in the early 2000s on E-TV Kannada. In the US since 2007, Anand has worked with many performing arts groups in Utah, Illinois, New York, and New Jersey. A strong proponent of multi-cultural performing arts, he has worked closely with many non-profit organizations, directing plays, hosting stage shows, training children, writing scripts and offering strategic advice to individuals and companies. Anand’s other plays include a conflict of faith and science entitled ‘The Deadlock’, and a musical entitled ‘The Spice Trail Scrolls’ inspired by the ancient Indian classic, Panchatantra. Anand is also the writer, director and host of ‘Nammerica’, the first Kannada info-tainment channel produced in the US. He is a member of the Dramatists Guild of America and in 2017 was honored by the NJ State Assembly for his contribution to the community’s arts and culture. Anand has an M.B.A. from the Westminster College in Salt Lake City, Utah, and Graduate Certificate in Integrated Marketing Communications from the University of Utah, in addition to an M.A., in English Literature, and advanced studies in journalism and public relations from Universities in India. “Bang" is a play about "political emotions. About the irrational desire for explosions and sensations in the political sphere", a biting satire of the "longing for macho men, leaders who provide simple solutions for complex problems". In a world where everything happens at once – the school parents’ evening, the occupation of the Crimea, the question of whether filter coffee is better than espresso after all, the massacre of civilians in South Sudan, the search for a light-flooded period flat with stucco and the ultimate destruction of our planet by greenhouse gasses – into this world a child is born, a waterbirth, totally natural, a nameless child in Berlin’s Prenzlauer Berg district who sets out to change all our lives once and for all. A young boy, highly-gifted of course, who already in the womb throttles his twin sister to make it crystal clear from the start that nothing, but absolutely nothing will impede his progress to the top. Inexorable, unswerving – neither his father nor mother, neither a teacher nor USA drone warfare will stop him when it comes to putting his mark on a world, our world, which is majorly out of joint. The harder he falls onto the crash mat, the higher he rebounds. And so we witness his swift ascent against the opposition of his besotted parents, against the school and every educational institute unable to cope with his extreme talent, against everything which was there before him and fails to give him unconditional love, against everything that is not on his side and refuses to grant him unlimited power, against the rest of a world which is majorly out of ... but we’ve had that already. We witness his rise but not his fall. Because nothing will stop him. Not even he himself. Playwright - Marius von Mayenburg: Born in 1972 in Munich. Studied medieval literature in Munich and Berlin, and from 1994 until 1998 playwriting at the Berlin University of the Arts. In 1998 he began a collaboration with Thomas Ostermeier at the Baracke at Deutsches Theater in Berlin that continued, from 1999, at the Schaubühne am Lehniner Platz, Berlin. He was awarded the Kleist Prize for young dramatists for his first play ”Fireface” (1997), the Frankfurt Writers’ Foundation Prize (1998) and was named 1999’s up-and-coming writer by the magazine Theaterheute on the basis of its critics’ poll. Since then, he has written several plays, such as “Eldorado”, “Turista”, “The Ugly One”, “Perplex” and “Martyr”, amongst others. His plays have been translated into over 30 languages and performed both in Germany and abroad. Since 2009 Marius von Mayenburg has directed several plays at the Schaubühne Berlin. Most of them were productions of his own plays like "Perplex", "Martyr" and "Plastic", but he also staged Shakespeare's "Much Ado About Nothing" and "The Pigeons" by David Gieselmann. From 2012 he started directing at other theatres like the Residenztheater Munich, the Schauspielhaus Bochum and the Schauspiel Hannover. His productions include plays by William Shakespeare, Oscar Wilde, Stefano Massini, Rafael Spregelburd, Alan Ayckbourn, and his own work. Alongside his activities as playwright, dramaturg and director, Mayenburg has translated plays such as Shakespeare's “Hamlet”, “Othello”, “Measure for Measure”, and “Richard III”, which were staged by Thomas Ostermeier at the Schaubühne Berlin. For his own productions he translated Shakespeare's "Much Ado About Nothing" and "Twelfth Night". His work as a translator also includes contemporary plays by Sarah Kane, Martin Crimp and Richard Dresser. In 2017, he directed his own translation of Shakespeare’s “Romeo and Juliet” at the Schauspielhaus Bochum, and his play “Peng” at the Schaubühne Berlin. He is currently director in residence at the Schauspiel Frankfurt. Marius von Mayenburg lives in Berlin.Studied medieval literature in Munich and Berlin, and from 1994 until 1998 playwriting at the Berlin University of the Arts. In 1998 he began a collaboration with Thomas Ostermeier at the Baracke at Deutsches Theater in Berlin that continued, from 1999, at the Schaubühne am Lehniner Platz, Berlin. He was awarded the Kleist Prize for young dramatists for his first play ”Fireface” (1997), the Frankfurt Writers’ Foundation Prize (1998) and was named 1999’s up-and-coming writer by the magazine Theaterheute on the basis of its critics’ poll. Since then, he has written several plays, such as “Eldorado”, “Turista”, “The Ugly One”, “Perplex” and “Martyr”, amongst others. His plays have been translated into over 30 languages and performed both in Germany and abroad. Since 2009 Marius von Mayenburg has directed several plays at the Schaubühne Berlin. Most of them were productions of his own plays like "Perplex", "Martyr" and "Plastic", but he also staged Shakespeare's "Much Ado About Nothing" and "The Pigeons" by David Gieselmann. From 2012 he started directing at other theatres like the Residenztheater Munich, the Schauspielhaus Bochum and the Schauspiel Hannover. His productions include plays by William Shakespeare, Oscar Wilde, Stefano Massini, Rafael Spregelburd, Alan Ayckbourn, and his own work. Alongside his activities as playwright, dramaturg and director, Mayenburg has translated plays such as Shakespeare's “Hamlet”, “Othello”, “Measure for Measure”, and “Richard III”, which were staged by Thomas Ostermeier at the Schaubühne Berlin. For his own productions he translated Shakespeare's "Much Ado About Nothing" and "Twelfth Night". His work as a translator also includes contemporary plays by Sarah Kane, Martin Crimp and Richard Dresser. In 2017, he directed his own translation of Shakespeare’s “Romeo and Juliet” at the Schauspielhaus Bochum, and his play “Peng” at the Schaubühne Berlin. He is currently director in residence at the Schauspiel Frankfurt. Marius von Mayenburg lives in Berlin. Translator - Maja Zade: Raised in Germany and Sweden, Maja Zade studied English literature at London University and at Queen’s University in Canada. She worked on theatre productions at the Royal Academy of Dramatic Art in London, and was Senior Reader at the Royal Court Theatre in London from 1997-99. She started working as a reader at Schaubühne in 1999 and up till now continues her work as dramaturg. Her translations into German include works by Lars von Trier and Caryl Churchill, and she has translated works by Marius von Mayenburg, Roland Schimmelpfennig, Lars Norén and Falk Richter into English. At Schaubühne Berlin, she has worked as a dramaturg with directors such as Thomas Ostermeier, Katie Mitchell, Volker Lösch, Ivo van Hove, Luk Perceval and Benedict Andrews. In the 2013/2014, Maja Zade was responsible for the dramaturgy of Marius von Mayenburg’s production of Shakespeare’s “Much Ado About Nothing” at Schaubühne Berlin. She is responsible for the dramaturgy of Marius von Mayenburg’s production of his play “Stück Plastik” at Schaubühne Berlin (premiere: April 2015). Director - Warner Crocker: Warner Crocker (Director) is pleased to once again return to one of his favorite gigs, The International Voices Project. Before returning to Chicago in 2013 he served as the Artistic Director of Wayside Theatre in Virginia for 15 seasons. He has produced and directed more plays than he can count and is the author of several. He currently works in Chicago and regionally. Recent directing gigs include Bunny Bunny Gilda Radner, A Sort of Love Story; The Bridges of Madison County; Boing Boing, Barnum, The Seven-Percent Solution, and The Man Who Murdered Sherlock Holmes: winner of the Jeff Award for Best Original Work.